Since I started sewing, it's a lot easier for me to be inspired by fashion. I can appreciate the design details of clothing as well as the care that went into constructing it. Sunday, Matt and I checked out a fashion exhibit at the Indianapolis Museum of Art, and I couldn't help but snap, oh, a couple dozen pics. Here are some designs that really caught my eye! The lobby entrance has a great exhibit called "Geometry of Light" created from magnifying lenses strung on wire that looks different as you walk around it. I really appreciate structural artwork that I can interact with, which might just be why I like sewing and quilting so much. To the left of the Van Gogh, my absolute favorite art piece was this sculpture created from Mylar (the material used in those shiny birthday balloons). They really look like natural rock or coral formations when you are up close. So inventive! Tonight, I'm hoping to be inspired by the sounds of the season as we visit an outdoor 4th of July symphony with friends. Steamy weather aside, this should be a great week of feeling rejuvenated and inspired. Happy 4th, friends! Are you watching fireworks tonight, or staying indoors? Oh that looks like such a cool place to visit! I like that display of white/wedding dresses as well, especially the renaissance looking one in the left corner of the picture! Thanks for sharing this. I'm planning to stay inside and probably watch fireworks on TV. Thank goodness for AC! What an amazing exhibit! Hope you had a relaxing 4th, we did fireworks in our town square. Lots of fun! 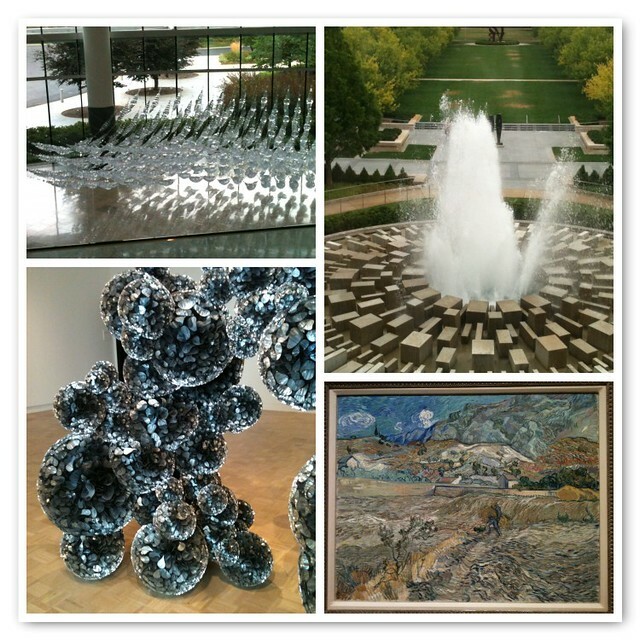 We have a really nice museum out here, but I have to say, I do miss the IMA! 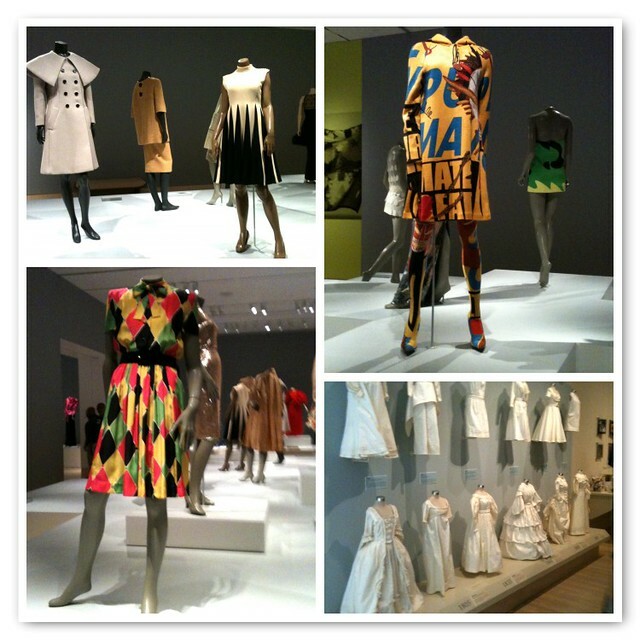 They always did have really nice fashion design exhibits, and I'm still obsessed with those little muslin dresses!